Comm Lead alumna Filiz Efe McKinney created a powerful video introduction to “Equity and Difference: Keeping the Conversation Going,” a public lecture series put on by the UW Graduate School in order to facilitate meaningful conversations about the civil rights struggles of today. 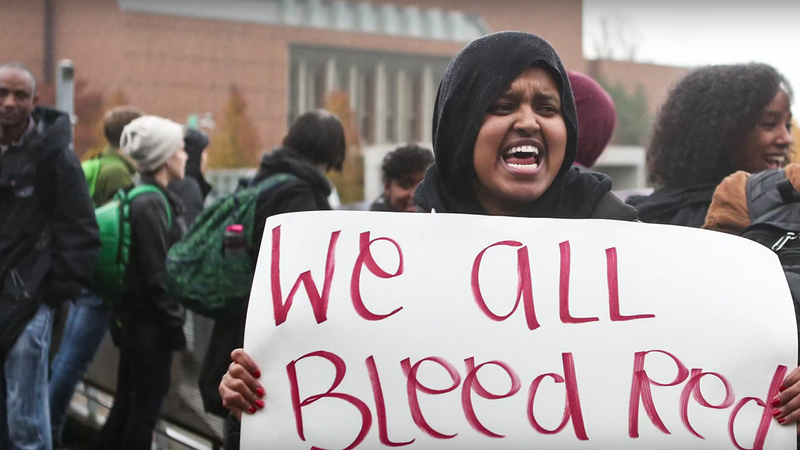 The narration of the video was adapted from a speech by Ana Mari Cauce, UW’s Interim Provost. Efe intensified the power of Cauce’s message by sourcing a diverse array of amateur narrators from all over campus and syncing their readings of the text with the voiceover. The video premiered on October 6th to a full Meany Hall, as the lecture series’ first guest, artist and activist Harry Belafonte, took the stage.